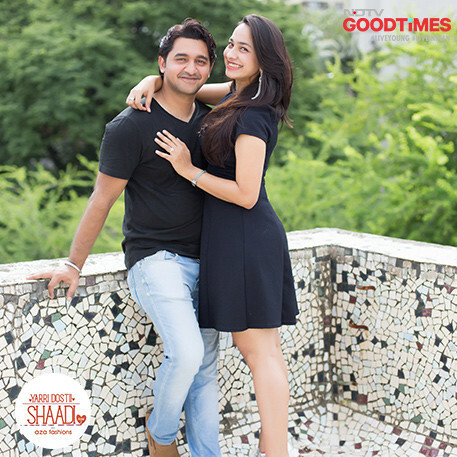 Some matches are made by Cupid through serendipitous meetings and some by enthusiastic parents. 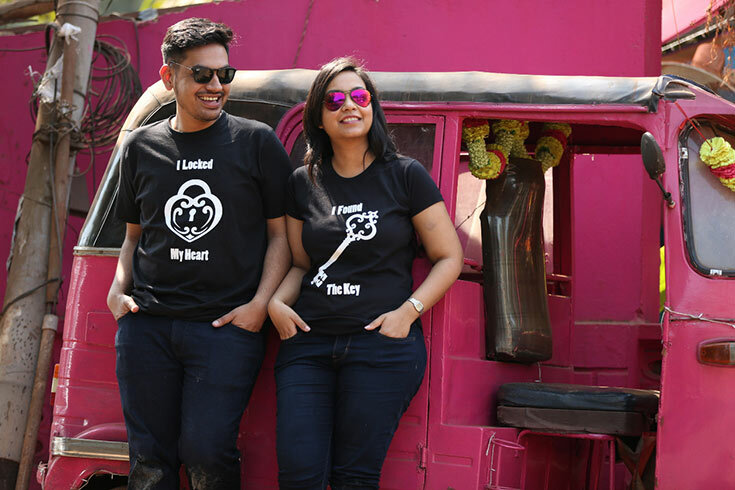 In Hitesh and Parul’s case, what their parents started off, Cupid finished! 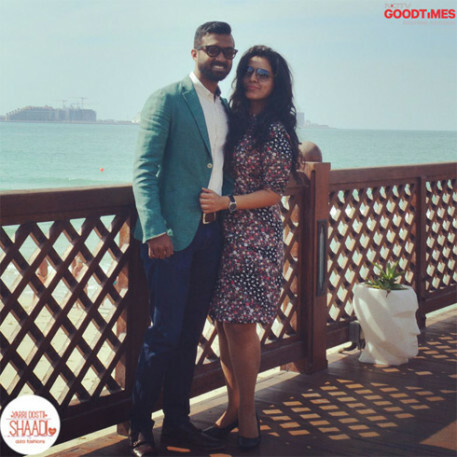 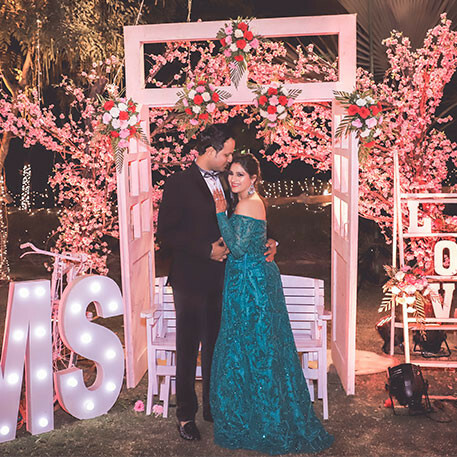 While theirs was an arranged marriage, in just one conversation with each other, Hitesh and Parul knew that they were meant to be and so the decision to get married came instantly. 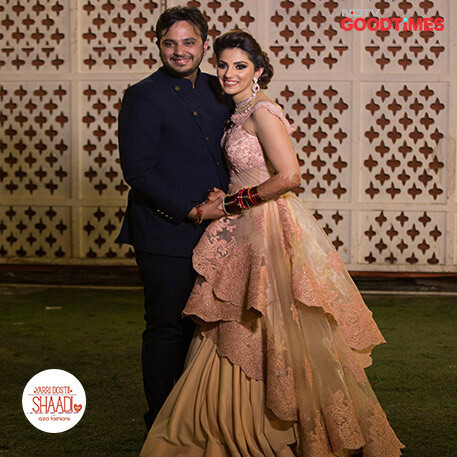 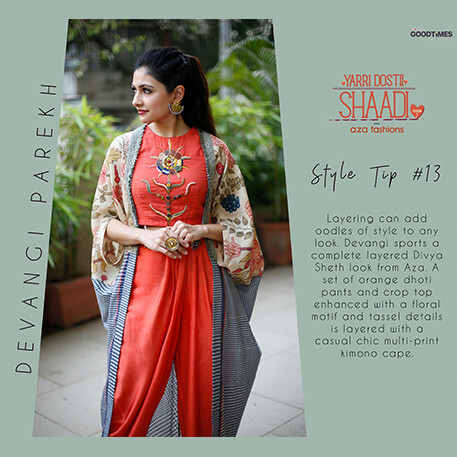 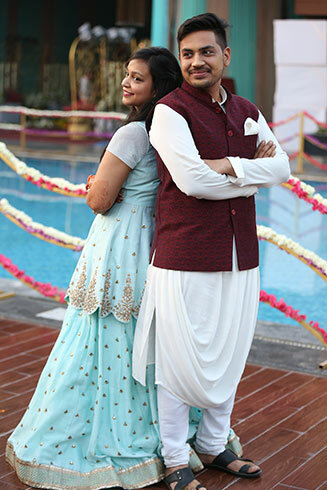 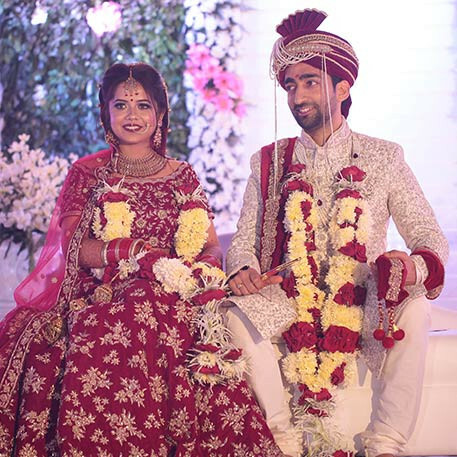 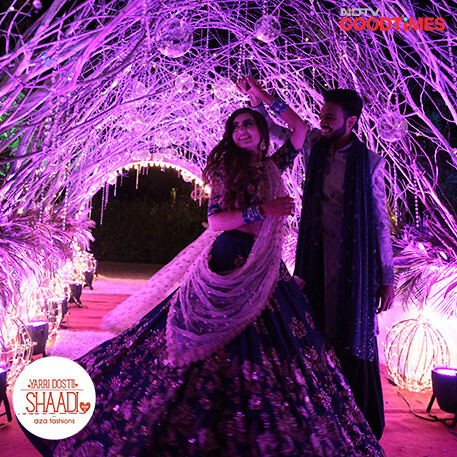 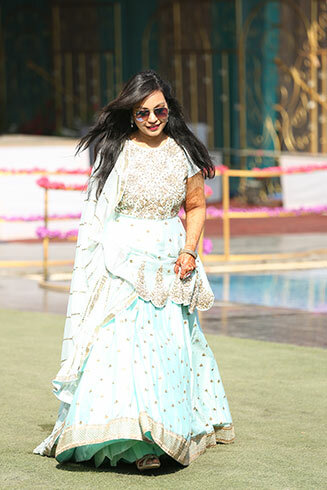 As tradition goes, every couple on Yarri Dostii Shaadi is styled by the show’s chief stylist Devangi Parekh of Aza Fashions. 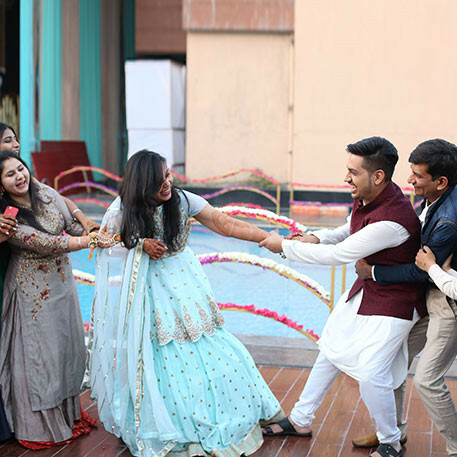 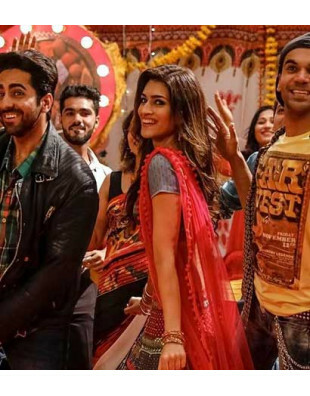 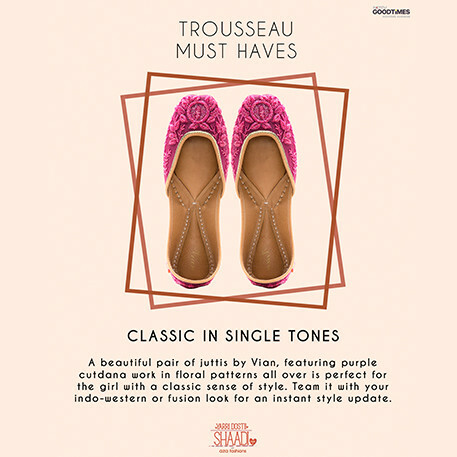 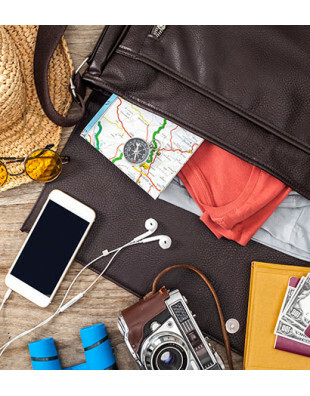 However, given that Hitesh and Parul have a short schedule between deciding to get hitched and the wedding itself, they resort to shopping off Aza’s website, an option that Devangi is only too happy about. 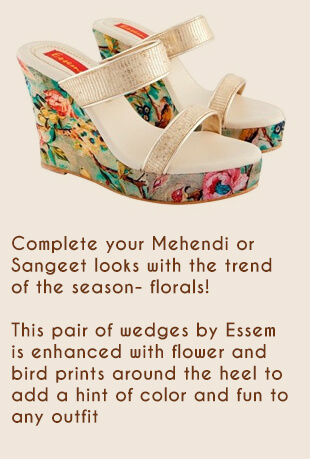 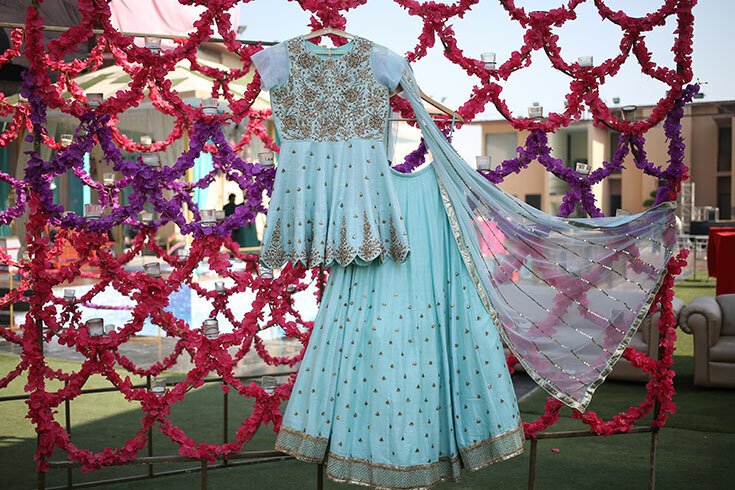 Here’s a glimpse of what Parul will wear at her mehendi. 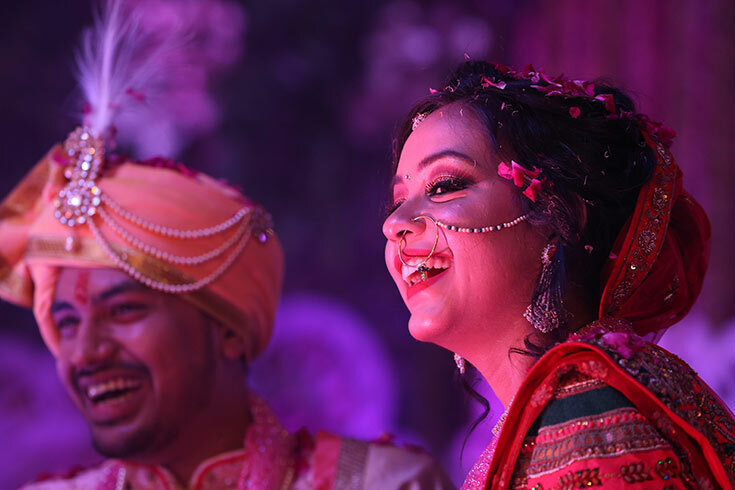 Hitesh and Parul are a fun couple and how they enter their mehendi event, is testament to it. 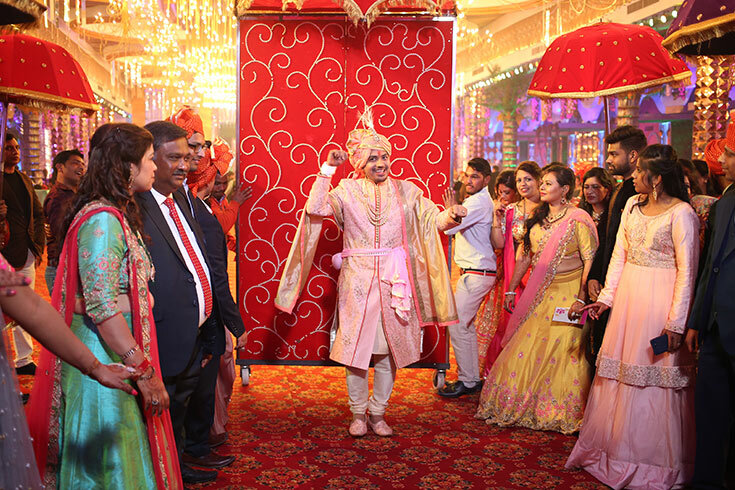 While Parul enters with panache, Hitesh is brought in by his friends in a humorous way, parodying a bride, under a chadar! 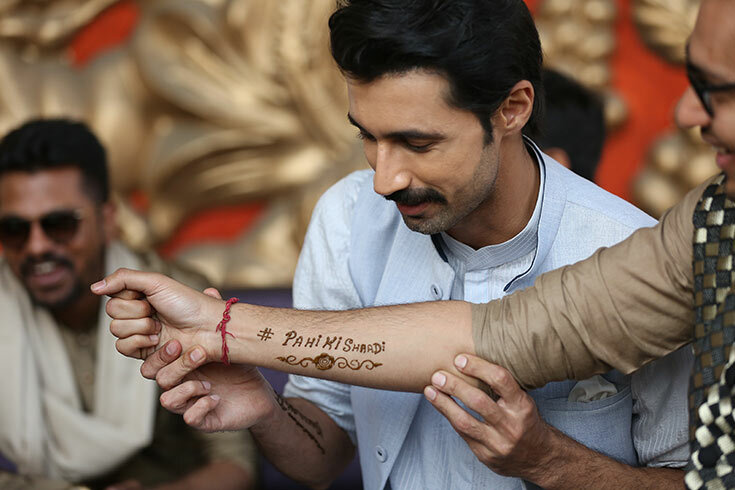 One of the tasks assigned by Hitesh to his best friend was to get all the men present at the mehendi to wear henna tattoos in support of him. 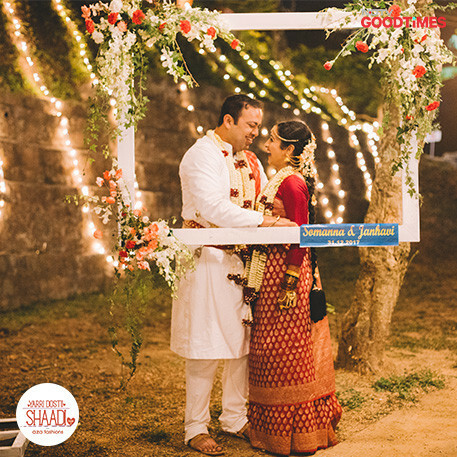 The couple’s wedding hashtag #pahikishaadi , is what all his friends got written and Hitesh couldn’t be happier. 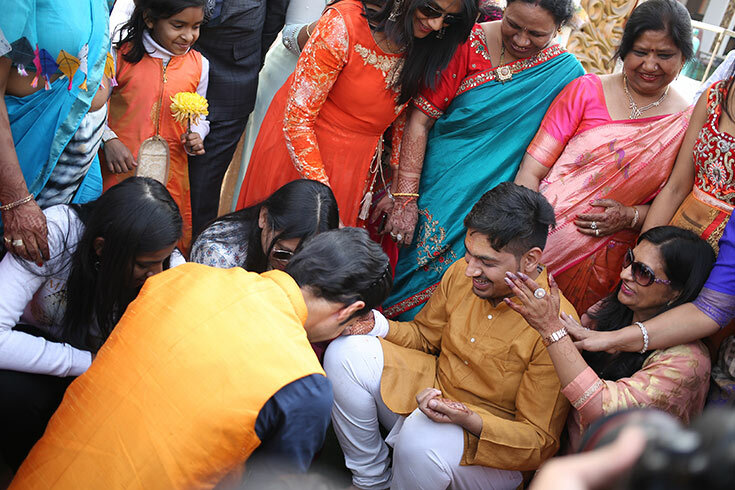 Aalekh participates in Hitesh’s Tel Baan more popularly known as the Haldi ceremony. 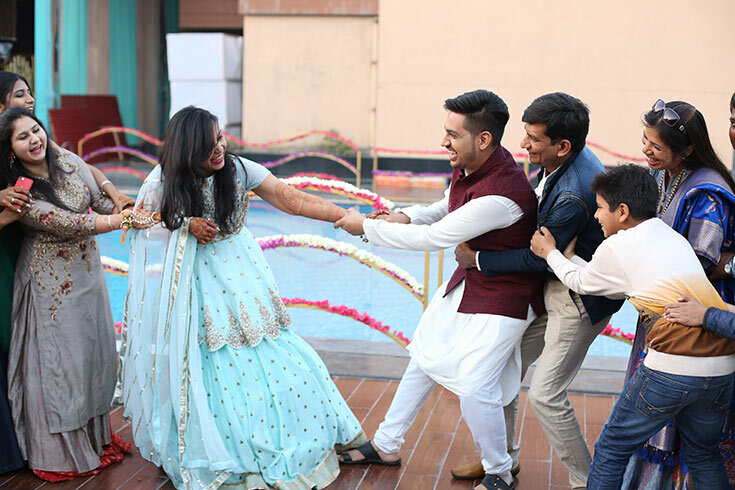 A combination of turmeric, sandal wood, water and mustard oil is applied onto Hitesh by his family members as an antiseptic and a beauty remedy for the groom. 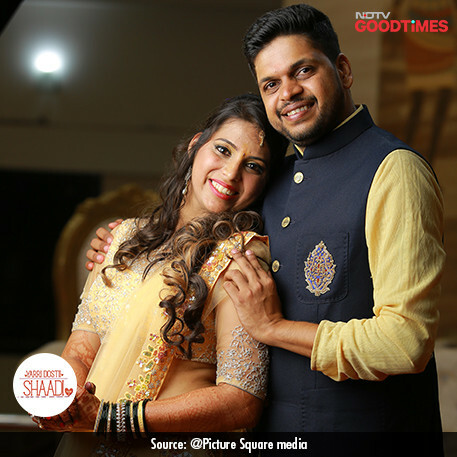 With all the pre wedding rituals done Hitesh inches closer to the moment he has been waiting for, to be married to his beloved Parul. 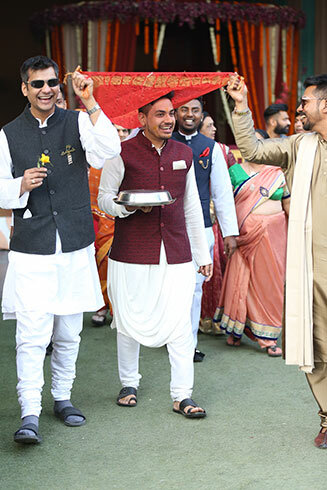 He makes sure he arrives in style! 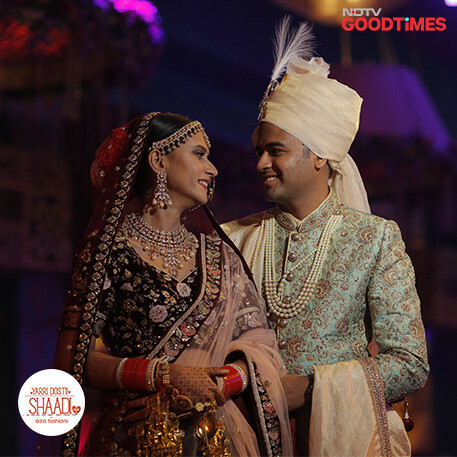 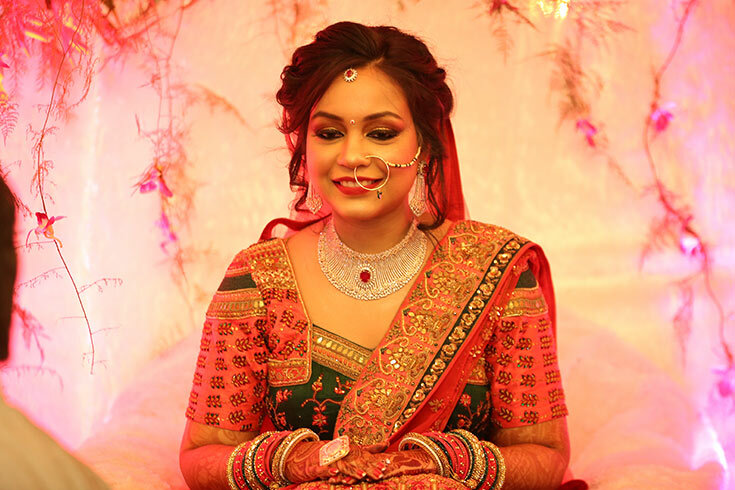 Parul, a vision of beauty as a bride, is all set for her life’s biggest moment. 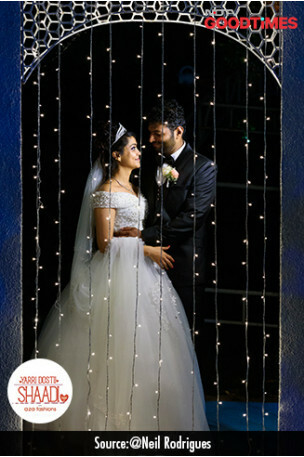 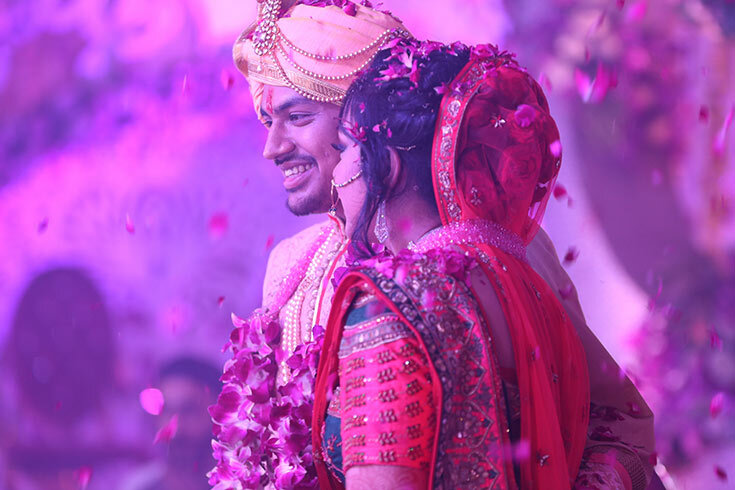 And finally with the varmala exchange and a showering of blessings disguised as flowers, Hitesh and Parul are wedded. 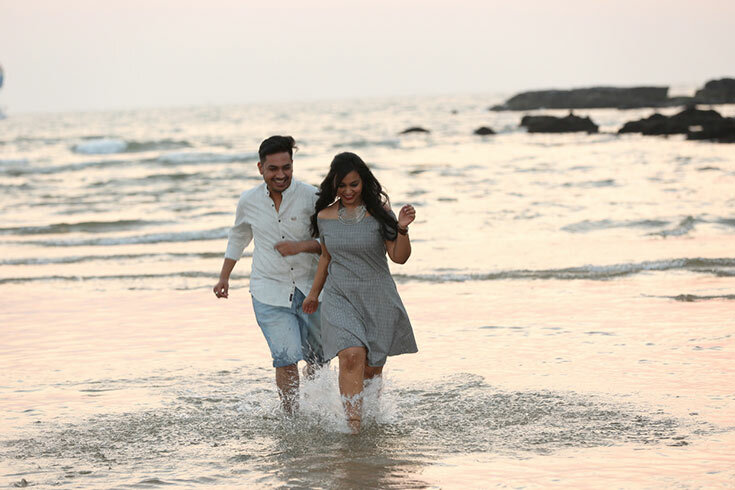 Hitesh and Parul couldn’t be happier to kickstart the beginning of a forever, together!